Two people can fit on one snowmobile, so share and save! Travelling alone? 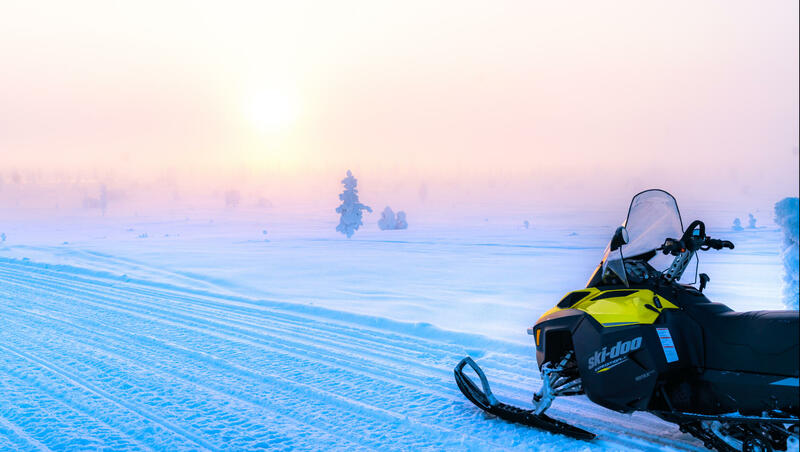 You don't necessarily have to pay for an individual snowmobile.Share the snowmobile with another guest! Leave the last remains of your everyday cares behind you and sit behind the handlebars of a snowmobile. 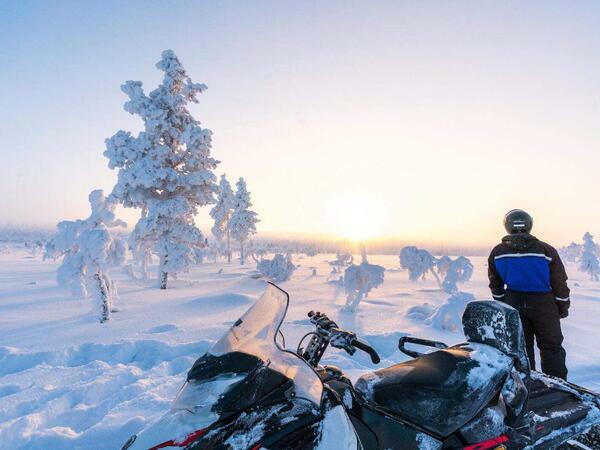 On the snowmobile safari, you will receive a good understanding of the nature of Lapland during the winter. The breathtakingly beautiful landscape of the fells, the powdery snowdrifts, and the trees bowing down under the weight of the snow line your route that takes you comfortably away from the bustle of the village of Saariselkä. 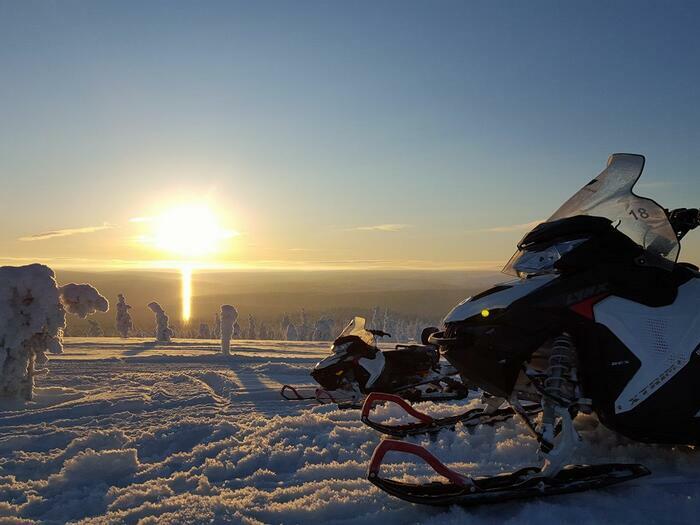 All snowmobile safaris include an introduction to safe handling and riding as well as an experienced guide. Children under 15 years old travel in a sleigh towed by the guide. Drill a hole through the thick ice, bait the hook, and see if you can catch a perch or a whitefish from the secluded, ice-covered wilderness lake. 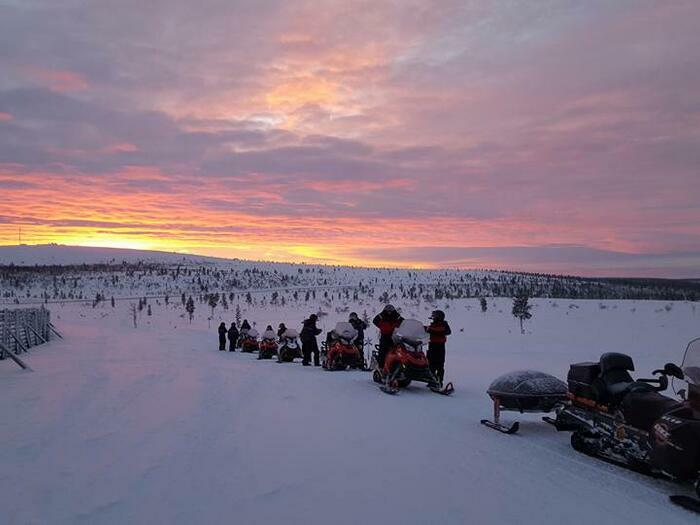 The snowmobile safari takes you through the remote, uninhabited forests and over the windy fells, past the breathtakingly beautiful scenery, until we reach the small wilderness lake. At the lake, we will try our luck at fishing and build a fire to enjoy a delicious meal and fry the fish we have caught. Along the way, we stop to take photos of the most beautiful sights of our trip.